Acquire the spirit of peace, and thousands around you shall be saved. Have you ever wondered why we can’t seem to find peace in a chaotic world? Why is life with other people so difficult at times? Why can’t we just communicate? What is wrong with our families? How can we find time and the right spirit to pray? How can we bring peace to our marriages, our families, our friendships, and our workplaces? All of these questions will be explored with insights from the Orthodox Christian tradition and from observations made from how families and other people groups function together as emotional and spiritual systems in active communion. 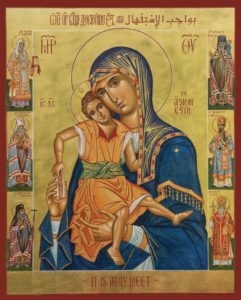 Sessions are held following Vespers (6:30pm) on Wednesday nights at St. Paul Orthodox Church in Emmaus, PA. Sessions are free of charge. All are welcome! 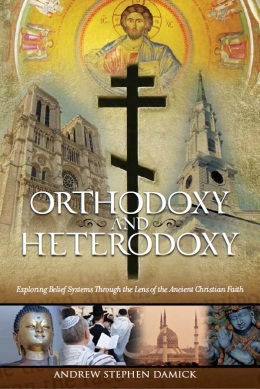 Orthodoxy and Heterodoxy, the popular lecture/podcast series (and book), is going to be presented in a newly revised, expanded and updated form at St. Paul’s in Emmaus beginning on Nov. 11, 2015. 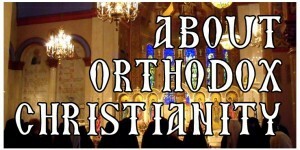 Nov. 11: Introduction: Orthodoxy, Heterodoxy & Heresy: A general overview of how the Orthodox Church views the non-Orthodox, why doctrine matters, an overview of Christian history, and an examination of ancient heresies. Dec. 9 & 16: Churches of the Magisterial Reformation: Lutherans, Calvinists, Presbyterians, Dutch Reformed, Anglicans, Episcopalians, Methodists, Wesleyans. Jan. 20 & 27: Revivalism & Evangelicalism: The Great Awakenings, Evangelicalism, Mega-Churches and the revolution in worship. Feb. 3 & 10: Pentecostalism: Pentecostalism, the Charismatic Movement, Word of Faith and the Prosperity Gospel. Feb. 17 & 24: Non-Mainstream Christian Groups: Jehovah’s Witnesses, Mormons, Christian Science, Unitarian Universalists, Unification Church (“Moonies”). Mar. 2 & 9: Non-Christians: Judaism, Islam, Druze, Zoroastrianism, Mandaeism, Yazidism, Baha’i, Buddhism, Hinduism, Jainism, Sikhism, Shintoism & Animism, Wicca, Neo-paganism, Neo-Gnosticism, Scientology. Time for Q&A will follow each talk, which will be roughly an hour at most. The talks (but not Q&A) will be recorded and uploaded to Ancient Faith Radio.